Fascinated with Astronomy since he was given a telescope at age eight, Tony uses a unique mix of art and science to help his guests understand the view into space. He recites poems written for the purpose of describing the cosmos, he calls “Poastromy” during his Tahoe Star Tours. Berendsen leads every tour, with each one featuring a lively science-based talk about the cosmos and poetry reading. Guests of all ages will enjoy an easy to moderate snowshoe walk with an unobstructed view of the cosmos, followed by the opportunity to view constellations through high-powered, professional telescopes manufactured by Celestron, the world’s leading telescope manufacturer. The telescopes use leading edge computerized technology enabling sharp, accurate pointing and tracking, with optics for clear, clean images. 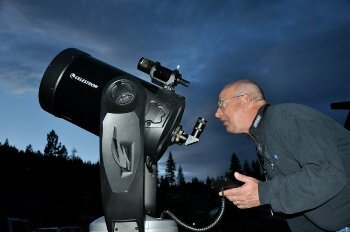 In addition, the new telescope technology used by Tahoe Star Tours will include Celestron’s NexStar Evolution, featuring the ability to send out its own WiFi signal so that with download of the corresponding free app, Sky Portal, stargazers will be able to control the telescope remotely on-site, while also having access to more information about what they’re looking at in the night sky. Located near the entrance to Northstar on the lower level of the Castle Peak parking area, the Dark Skies Cosmoarium features wide, unobstructed horizons for viewing. Tahoe Star Tours participants will have access to comfortable seating, fire pits, outdoor heaters, as well as convenient, free on-site parking just a short walk from the viewing area, complimentary hot chocolate, coffee and s’mores. 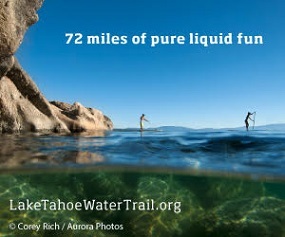 For more information, visit www.NorthstarCalifornia.com.